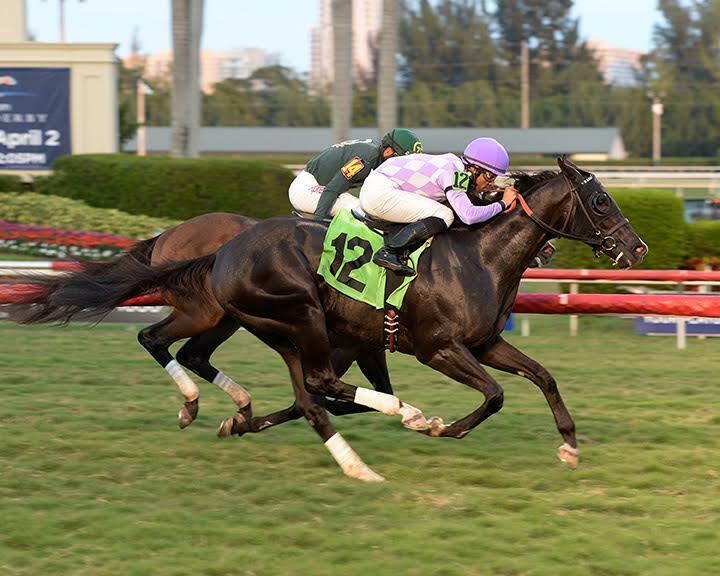 BSW Bloodstock got 2016 started on the right foot with three wins last weekend at Gulfstream Park. It was a three bagger type of day with Sandiva winning the (G3) Marshua’s River Stakes, Mshawish winning the (G3) Hal’s Hope and Next Shares breaking his Maiden in a MSW a few races later. Agawa, Fugacious Dancer, and Al Khazaaliya all hit the board in their starts early this year. With a troubled trip at Aqueduct on January 3rd Agawa finished third in an allowance race going 1 mile and 70 yards on the inner dirt. She was checked hard around the final turn and lost several lengths. After gaining back her balance, she made a move to gain third as the field was turning for home. At this point winner Perfect Freud was gone in front by five or six lengths. Agawa ran a distant third. She will run back in February at Aqueduct. 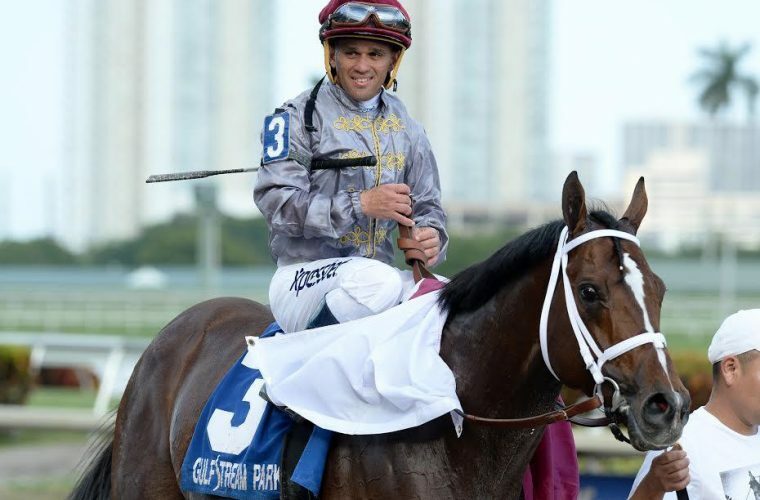 Al Shaqab Racing sent out Al Khazaaliya to kick their year off on January 1st at Gulfstream Park. She ran a game second beaten a dirty nose to Dream Of Mine. She was at the back of the pack early and made up huge ground with a great kick, she was gaining fast but the wire came up too soon. This was a lifetime top for the Blame filly, running an 80 Beyer and a 6 Thoro-Graph. She seems to be back on track after almost a year on the shelf and hopefully her next start will get her back to the winner’s circle. Highclere America, Dave Kenny, and Hick Stead Farm sent out Fugacious Dancer on January 8th at Santa Anita. It was a great effort after being on the shelf since May 3rd. In a tough Maiden Special Weight Fugacious Dancer broke a step slow and was in the three path down the backstretch. She ran 28 feet further than the winner and 21 feet further than second place horse Tryst. Throughout the day the track seemed speed favoring and it certainly showed in this race as Back Beauty took off out of the gate and didn’t look back, going wire to wire. She stopped the clock in 1:09.94, a very solid time for six furlongs. $400,000 yearling purchase Tryst ran on well down the lane in her first start and Fugacious Dancer was not able to pass her late, finishing third. We are expecting big things from this talented filly and believe when she gets the opportunity to stretch out in her next start she will be tough to beat. Her 1/2 brother Mexikoma gave her a nice pedigree update on Saturday, January 16th by winning the $250,000 Sunshine Millions Classic. This filly loves the Gulfstream Park turf course and had another win over the surface on Saturday, January 9th in the (G3) Marshua’s River. She sat in a perfect position saving ground from the #1 hole on the rail, and at the top of the stretch she spurted away to win by 1 1/2 lengths, in hand, under jockey Javier Castellano. 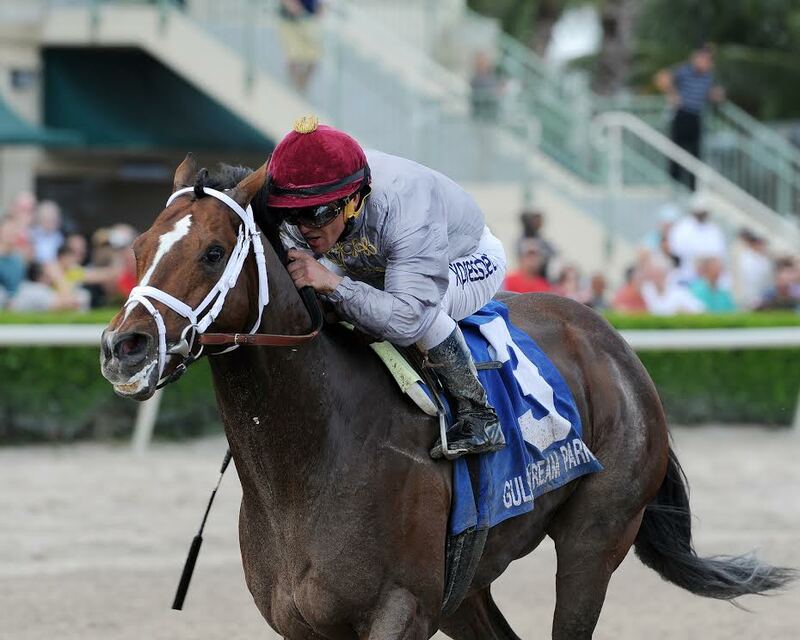 Defending her title in the (G3) Suwannee River Stakes on February 6th is possible for her next start. This filly now has three Stakes wins over this surface, and a second, from four starts. Mshawish is now the only son of Medaglia d’Oro to be a Graded Stakes winner on both turf and dirt, when he won the (G3) Hal’s Hope Stakes on Saturday, January 9th. He is coming off of a solid fourth in the (G1) Cigar Mile on dirt and was making his second lifetime dirt start. He sat in fourth position waiting to move until the top of the stretch. When Javier Castellano let him go he battled hard in the lane with Valid, prevailing by a neck. He is now pointed for the (G1) Donn Handicap on February 6th, followed by a possible return to Dubai in March. 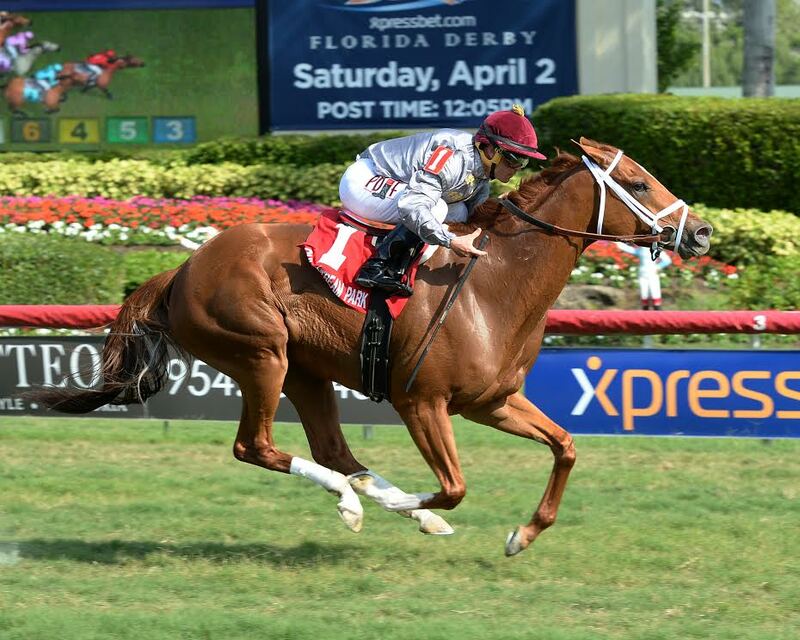 Al Shaqab Racing had a big day with two (G3) wins and sets up for a great day on February 6th. Their lifetime record at Gulfstream is 13-9-2-1; 6-5-1-0 in Graded Stakes. This Maiden Special Weight win was icing on the cake on Saturday, January 9th. The (G2) placed gelding was making his sixth lifetime start, coming off of a two month break. He had a bit of a rough trip sitting in fourth position just off the leaders, moving four wide turning for home he bumped hard with runner up Grand Nenuco. He dug in and won by a neck. The son of Archarcharch earned a 70 Beyer. This win set him up for a possible Allowance or Stake try next out. It was a great victory for Brous Stable, Gary Barber, Adam Wachtel, Luc Paiement, and Charlie Spiring. Congratulations to all involved!